All this week we have been looking into perfect needle pairings for a variety of Sulky and Gütermann threads. Yesterday we learned about a variety of different polyester threads. Today I’m talking about SCHMETZ needle pairings for lovely Sulkyand Gütermannrayon threads. 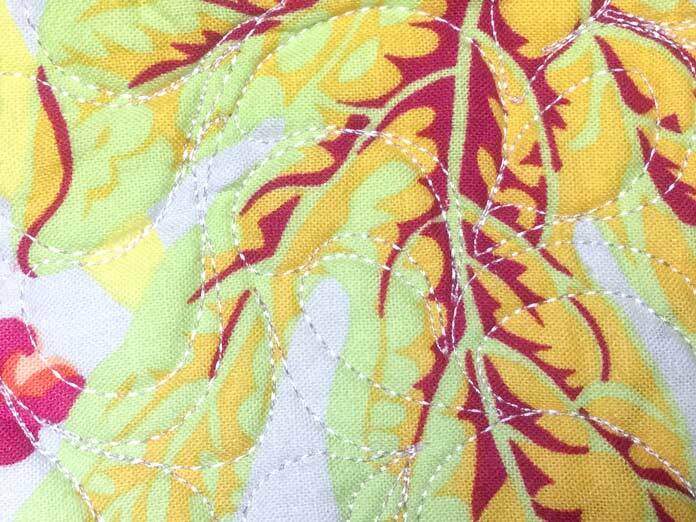 Rayon thread adds a lovely soft sheen to quilting. What is rayon and why we love it! Rayon, also known as viscose rayon is a manufactured fiber made from cellulose. The cellulose commonly used to manufacture rayon is found in wood pulp so rayon is considered a manufactured natural fiber. Yesterday I tackled a wedding dress that I thought I had promised to have done last month. Silly me, the tag actually said mid May, so I am a little ahead even! I felt so happy to have that out of my hair that I decided to work on a couple of projects for me. Amy Barickman, founder of Indygo Junction has joined us for a Facebook Live Video. Watch the replay below as Amy and Misty chat about tips and tricks for sewing with rayons! Isn’t it crazy that the Fall season is here already! You know what that means… it’s time to start sewing some “me made” outfits. Perhaps you can even get a head start on holiday dresses! One substrate that is ideal for any garment is AGF Rayon. I know you’re probably thinking “um rayon is too lightweight for fall and winter” but guess what? It’s great for layering with other pieces and it comes in a variety of styles!